Actor James Marsden currently stars in the HBO science-fiction series Westworld, which often functions like a video game, with characters “dying” only to reappear uninjured a short time later. 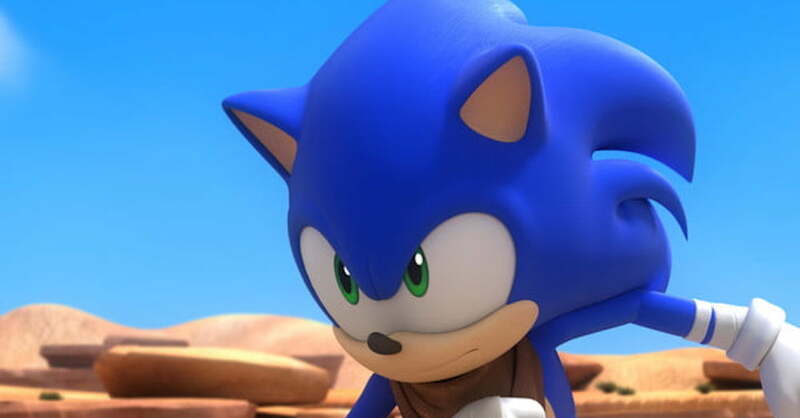 His next project, however, will be even more like a video game, as he has reportedly been chosen to star in a Sonic the Hedgehog film adaptation. According to Variety, Mardsen has signed on, but it didn’t specify if he would actually be playing the title character or a different role. The film is being directed by Jeff Fowler, who will make his full-length directorial debut, as he has primarily worked in writing and animation up to this point. It’s scheduled for release on November 15, 2019. In addition to his role as “host” Teddy on both seasons of Westworld, Marsden has played Cyclops, whose real name is Scott Summers, in several of the X-Men films. He also had a major role in Anchorman 2: The Legend Continues, and had the unfortunate role of co-lead in The Box, based on the short story Button, Button. Marsden is also no stranger to hybrid live-action and CG films. He previously appeared in Hop, an Easter-themed movie that starred Russell Brand as an animated bunny. Moviefone learned from Paramount on May 30 that Paul Rudd was originally in consideration for the role of “Tom” in Sonic the Hedgehog, who serves as the blue critter’s human sidekick. It’s likely that Mardsen is playing this role. Others rumored to have been in consideration were Jack Black, Ed Helms, Jason Segel, and Owen Wilson, though it’s possible they could still appear in the film in some capacity. Sonic the Hedgehog isn’t the only animated video game film in the works right now. Nintendo and Illumination — the company behind Minions and Sing — have teamed up to produce a new Mario film. The last time the plumber came to the big screen was in the abysmal 1993 Super Mario Bros., which was live-action and included a gloriously hammy performance by Dennis Hopper as King Koopa. For more Sonic, you’ll be able to play Team Sonic Racing relatively soon. The game comes to Xbox One, PlayStation 4, PC, and Nintendo Switch this winter.